Welcome to the first ever episode of Between The Fangs on Penalty Box Radio! We wanted to start it off with a bang, so Michael Wade and George Matarangas do a bit of a deep dive into the Stanley Cup Final. We ask all the difficult questions including if Alexander Ovechkin truly deserved the Conn Smythe Trophy. 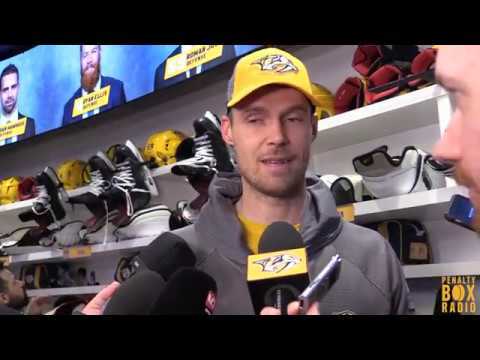 We get back to our Predators roots shortly after and take an objective look at Ryan Ellis. We take a peek under the hood to examine his advanced stats and discuss if he might be the perfect trade bait. Could Toronto, Carolina, or even Edmonton be the perfect destination for everyone’s favorite bearded defenseman? Find out here on Between the Fangs!